We offer fuel payment options on our fuel oil and kerosene that are flexible for our customers. These options include credit and COD (cash on delivery) payment terms, as well as automatic or will-call delivery plans. Contact us to talk with one of our friendly staff members about what delivery and payment options are best for you. Our customers enjoy friendly delivery drivers, strictly followed safety protocols, and competitive prices. We are conscious of how changing fuel costs can affect our customer base so we will deliver as little as 100 gallons to keep your deliveries affordable. 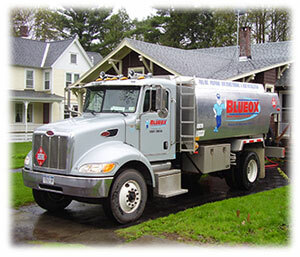 We also have unique discounts including ten cents off per gallon for prompt payment and an additional five cents off per gallons for taking a delivery of at least 150 gallons. Find out if you are eligible for one of our additional discount plans including discounts for military personnel, mobile home park residents, employer discounts, or church member discounts by contacting us here. Fuel Oil with Additive: We are the only company in the area that actively tries to reduce your energy costs by eliminating the use of kerosene at your home and replacing it with fuel oil which includes a gel prevention additive. We have used this system for years with zero concerns. Our oil with additive system can save you anywhere from $30 – $60 per delivery even after the cost of the additive. We will also move or install your oil filter free of charge to make it feasible for you to join our program. Prompt Delivery Guarantee: Are you a will-call customer who waited too long to refill your tank? Call us now at (888) 287-9691 We guarantee to take care of your needs within 48 hours. Our 24/7 emergency service is available outside of normal operating hours and can get you a delivery quickly. Automatic COD (Cash on Delivery): We are constantly evolving and finding ways to make it easier for you to purchase your fuel oil or kerosene. We are the only energy dealer in the area that offers an automatic delivery COD fuel plan. Good credit or bad credit accepted. Automatic delivery ensures you don’t have to worry about watching your tank gauge. This helps you avoid after hours delivery fees and ensures that you are always able to take advantage of prompt payment discounts. Looking for more ways to control your energy costs? Check out our payment plan options (which include price protection) here. Looking for ways to supplement your fuel oil heat? Check out our custom heat pump options that offer an extremely affordable way to heat your home and have the added benefit of providing air conditioning when it gets hot out!